Seminary Dean Rev. Lauren Van Ham, M.A. Seminary Dean Rev. 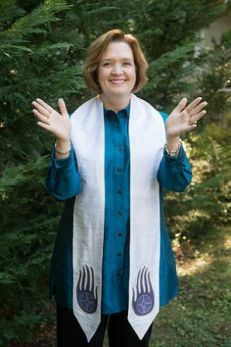 Lauren Van Ham, M.A., was ordained with the very first cohort of CHI ordinands in 1999, and completed the Interfaith Spiritual Direction Certificate Program in 2006. Before joining the CHI staff in 2010, Lauren served for 8 years as a staff chaplain at St. Mary’s Medical Center in San Francisco. From there she moved to a corporate environment, where she custom-designed employee programs for multi-national companies committed to sustainability and culture change. 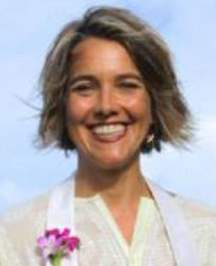 As part of her evolving call and commitment to “eco-chaplaincy”, Lauren served as Executive Director for Green Sangha (a non-profit dedicated to spiritually-engaged environmental activism) from 2004-2006 and has chaired Fair Trade Berkeley, a group whose dedication helped make Berkeley the 19th Fair Trade Town in the U.S. Lauren holds degrees from Carnegie Mellon University and Naropa University. Please explore our several seminary programs. Have questions? Have a unique path of study you want to create? We are glad to help; Schedule a Chat. Our seminary’s innovative interfaith Chaplaincy Program focuses on a combination of the study of the world’s religions, an exploration of mystical paths and teachings, as well as ministerial formation and developing skills for providing spiritual care. Integral to spiritual formation and vocational preparation, seminarians are encouraged to retain and deepen their personal theological perspectives, while also expanding their capacity to serve the spiritually and culturally animated world in which we live. The Chaplaincy Institute seminary offers a complete and well-rounded educational experience that prepares graduates to lead and serve in whatever capacities they are called, and an active community that provides support, growth, accountability, and heart-sourced connection. If you feel drawn to this, please contact us for an introductory visit. Those completing the interfaith Chaplaincy Program may choose to follow the path to Interfaith Ordination. Our ordaining body, the CHI Interfaith Community, is an active community that provides support, accountability and heart-sourced connection. The CHI curriculum provides students with a comprehensive, integrated, interfaith, and applied-theology education. Self-care practices are incorporated throughout, as fundamental learning for all individuals called to caring professions. Our curriculum has its roots in, and speaks to, the universal language of the psyche and soul of all human beings. Designed to address the evolving spiritual needs reflected in our communities and larger society, each course syllabus undergoes annual review, adapting and changing for relevance and usefulness. Core Competencies for Ministerial Formation, inform the classroom learning objectives, homework assignments and independent study requirements, which prepare and measure each seminarian’s readiness for graduation. Calling & Discernment: Exploring how your gifts, growing edges, vocational experiences and inner guidance interweave to form your way of ministering to the world. “The Chaplaincy Institute (“CHI ”) offered me, and so many others like me, the opportunity to engage in the Interfaith dialogue in ways that most of us never imagined. CHI ’s curriculum is unique, in that students who are interested in Interfaith Ordination not only read, reflect, and engage with literature and liturgy from a wide scope of faith traditions, it also insists upon first-hand experience. This Nice Jewish Girl found herself genuflecting in embodied Muslim prayer, meditating with a Buddhist nun, kneeling in a Catholic mass, and sweating in a lodge with a Lakota guide. The insistence upon empathy and the invitation to compassionate sharing offered a clerical formation unlike anything I could have imagined. CHI envisions as many different types of ministers, chaplains, and spiritual directors as individuals striving towards those ends. It is often repeated that people of all faiths, no faith, and everything in between are welcome both at the seminary and at the Interfaith services and workshops. There is an emphasis on the arts, inviting people to bring their authentic voice to their service. We sing, we dance, we eat, we pray, and we sit in silence while holding sacred space for each other. Our modular program features hybrid distance learning in order to serve students from near and far. Our goal is to join the best features of classroom teaching with independent learning to serve the needs of people who cannot spend a great deal of time on a campus and regularly attend classes. Courses are not available solely on-line. Students travel to Berkeley, California, to attend Thematic Learning Modules that focus on world religions as well as practical theological and ministry competencies. Modules are taught throughout the year in the same month of each year, which enables students to attend in any order they wish. Each module starts on a Wednesday and ends on a Sunday and has a distinct theme—either a world religion or a particular aspect of interfaith ministry. In order to graduate, all students must complete each of the twelve (12) required modules. With the exception of Spiritual Psychology (parts I and II), students do not need to take the modules sequentially; they can be taken in any order. Still, each of the twelve modules must be completed to fulfill program requirements, or to be considered for ordination. Required reading, a reflection paper, and an expressive arts project are due prior to each module. Students have up to three years to complete the coursework. While it may seem technically possible to complete the program in one year, a more realistic time frame is 18 months to 2 years. A two-year process allows for greater continuity and a deeper engagement with both the material and with The CHI Community. The options for a personal spiritual practice are multiple and flexible. Examples include attendance at a weekly worship service, daily meditation, prayer based on a primary faith tradition, yoga, art or journaling, and so on. Practice should be discussed and tended in spiritual direction as well as in the Core Competencies Self-Assessment review. As part of the Community Ministry and Social Transformation (CMST) coursework, students are also expected to attend and participate in the life and activities of an organized spiritual community. The community may be your long-standing religious home, but may as readily be a church temple, zendo, mosque, ashram or other community you feel called to meet more intimately for the period of time you are enrolled at CHI . Each Interfaith Studies Program student is expected to visit and experience worship at a variety of houses of worship or spiritual centers in several faiths in his or her local community. The intent of this contextual learning requirement is to have the student engage with different faith traditions/expressions of spirituality beyond just observation (and, especially, to avoid “spiritual tourism.”) Site visit reports should contain evidence of both personal and contextual/cultural examination. The student should pick a second tradition beyond their personal spiritual practice to delve into more deeply, and find a mentor to give guidance in that tradition. This second tradition should be explored formally for at least 6 months through regular study. Each student is required to complete a written self-reflection assessment and assessment interview, which are to be completed about two-thirds of the way through the program. Contextual learning gives each student the opportunity to integrate theological concepts and intellectual constructs into the flow of lived experience. Students are required to complete a 200-hour-supervised practicum (400 hours for those wishing to be ordained) in an area of interest relating to their desired focus of ministry or spiritual care. This is where each student can test their wings and begin to grow their ministry within the supportive structure of our learning community. *Students pursuing ordination will have additional requirements for these elements. All graduates of the Interfaith Studies Certificate Program receive a Certificate of Completion from The Chaplaincy Institute. All students who successfully complete the Interfaith Studies Program also receive an official transcript from The Chaplaincy Institute, which lists the student’s program start date and graduation date, and assigns a passing grade for all academic requirements. The CHI Seminary bestows Certificates of Completion and issues transcripts. The CHI Interfaith Community bestows Interfaith Ordination and Clergy In Good Standing status. Interfaith Chaplaincy and Community Ministry is a mix of established forms of spiritual care and leading-edge possibilities that expand the boundaries of how one can be of service. Some ministries, such as hospital or hospice chaplaincy, offer a more traditional career path. Other emerging opportunities, such as eco-chaplaincy or animal chaplaincy, tend to be more entrepreneurial. Whether in a traditional setting or one that is on the frontier of what ministry is becoming, the ability to provide care for people of any faith – and those with no faith tradition – will make Interfaith ministers a valuable asset in any number of contexts. If you are a pet lover, who heals your emotional and spiritual wounds when that pet is ill, out-of-sorts, or dying? So many people think of animals as beloved friends and family members, yet our culture and religions offer little support for nurturing pet relationships or for mourning animal loss. Nancy Schluntz recognized these needs were unmet and made them the focus of her chaplaincy. 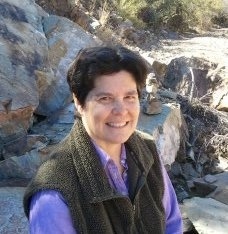 After 25 years working as an editor/technical writer and real-estate financier, Nancy served for thirteen years as Executive Director of the Family Emergency Shelter Coalition (FESCO), a mid-sized faith-based human services agency providing shelter, supportive services, counseling, life skills education, transitional housing and aftercare for homeless families with children. Nancy also directs a monthly pet-loss group for people grieving the death of a pet. “It’s a lovely thing when you can help someone feel better after this tremendous loss.” To broaden her outreach, she maintains a blog and offers a monthly ezine from her website, www.nancyshluntz.com. Nancy has written a book about her journey to ministry, and the role her cat played in it. “It’s like going through the whole program over again.” Her book is entitled Hand in Paw: A Journey of Trust and Discovery. Grief Counseling is particularly needed in a society in which avoidance and/or ignorance about death is all too common. Grief counselors are present to those in the mourning process, comforting them and teaching them to move on through grief counseling. Grief Counselors can be helpful in hospice settings for adults, also they can lead Healing Groups for adolescents and children whose developmental needs are complicated by the grieving process. Although I enjoyed my work as a chaplain, I felt even more called to become a Grief Counselor. To become a Grief Counselor, it is helpful to learn the spiritual methods and rituals of a wide range of traditions, including those of the trainees, and study the theories and practices of Grief Recovery. Persons in grief experience many, emotions that must be acknowledged and understood by those who are comfortable with intense levels of feeling/expression. When a patient in a hospital where I was a chaplain learned that her father had suddenly died, she began screaming and wailing, an emotion/process to be expected with the first news of death. The nurses and doctors, however, had no idea what to do until I came in and held her as she sobbed for 30 minutes, which was exactly what she needed. The Chaplaincy Institute, with its interfaith approach, was a perfect fit for me. Its students are taught— and experience— a wide variety of spiritual approaches, including death and dying rituals in order to prepare them for any setting or situation they might encounter. After graduation I also took a unit of Clinical Pastoral Education. The experience with the grieving woman also led me to sign up for a 12-week class in Grief Recovery Methods taught by the hospital for anyone in the community. I was hired next by a Hospice to be their chaplain and bereavement coordinator, but after a year I really wanted to be a grief counselor. I studied and received my certification as a Grief Recovery Specialist through the Grief Recovery Institute. After rigorous, independent study of grief and theories of grief recovery, I launched my own private practice in which I counsel families and individuals and lead Grief Recovery Groups for children and for parents of grieving children. When I was interviewing as a prospective CHI student. someone asked where my path of chaplaincy might be. I confidently said, “Hospice!” The interviewer suggested that I remain open to all possibilities. As it happened, it was through hospice that I found my passion and my life’s path of accompanying people on their journey through grief. Soulful storytelling heals hearts, builds community, and heals the world. Storytelling ministry is a good way for interfaith ministers to not only express their own creativity but also to encourage others to express and release their painful stories from the past, and live the story of their dreams in the present. Storytelling ministers can also guide storytellers and other performers in creating and performing their stories for the stage. Sharing and personal stories in an authentic and embody way inspires audiences to reflect on and share their own stories. When it comes to the discussion of medical aid in dying, Mark points out that 74% of Americans want the option to choose their course of treatment at the end of their lives. 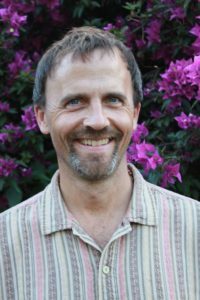 He seized upon the unique opportunity to see medical aid in dying become possible in California by volunteering in the Compassion and Choices clergy group, as the law was in the process of being passed – a law that had failed a number of times previously. Mark sees medical aid in dying as compatible with hospice philosophy and as a way to compassionately assist his patients in receiving care and relief of suffering, in accordance with the individual’s perspective and needs. Mark’s job as chaplain, for someone considering medical aid in dying, is to listen, determine what their story is, what their values are and explore with them for clarity. Frequently exploring a person’s values and perspective from a neutral point of view leads to the conclusion that medical aid in dying is not what is appropriate and that palliative care in the hospice setting is. must be able to self-administer the medication without help from anyone. As an extroverted Scorpio, with a Leo moon, l love having depth and diversity in my career as an interfaith minister, storyteller, spiritual coach, and energy therapist. When I began my studies at CHI in 2007, I knew I wanted to integrate creativity into my ministry. I had performed a bit in community theatre when I was younger in Washington DC. Then I discovered storytelling as an art form when my partner, Marie and I lived in Asheville, North Carolina. As a Southerner, having grown up in Mississippi, storytelling is in my soul. I loved listening to my parents and aunts tell outrageous stories on the porch! I felt this powerful connection to the past which connected me to the present in understanding who I am and from where I come. and discovered that I had enough passion and stories to write and perform my own one-woman show! So I hired a director, who specialized in solo performance. I performed my show, “A Lesbian Belle Tells” in the 2014 Capital Fringe Festival, where it won best solo show from Broadway World! It is an autobiographical show of my stories of growing up in my traditional Mississippi family, coming out in DC, and experiencing family estrangement, loss, love, and healing. My show has comedy, as well as triumph over tragedy, with universal themes of my quest for belonging, healing, and transformation. It is a contemporary heroine’s story. I have recently performed an updated version of it in DC. From my shows, I attract new clients for spiritual coaching and energy therapy, and invitations to preach. I am now exploring getting the show booked at women’s festivals, conferences, retreats, and diversity organizations. I also lead workshops on forgiveness, loss, and the use of story in interpersonal and spiritual healing and transformation. Performing my show is my story healing ministry. I love hearing how it touches and empowers people when folks talk to me after the show. As writer Dorothy Allison says, “Stories are the one sure way I know to touch the heart and change the world.” My vision for my ministry is to help people express and release loss, transform and deepen relationships, and live a new story of hope. I do this through storytelling performance, as well as spiritual coaching, and energy therapy in my private practice. So much of my CHI experience as a student and an alumna has been about sharing our stories with one another and deepening our relationships. As I write this I am about to go to Berkeley to the fourth retreat that my ordination class of 2009 is doing together. My favorite part is sharing our personal and professional stories with one another, with intimacy, vulnerability, and depth. I am most grateful for my CHI tribe. Jenifer first began her art ministry as the author and illustrator of Drawing Into Prayer: Reaching God Through Art When the Words Aren’t There, a book that is half autobiographical and half a series of simple exercises that both artists and non-artists alike, may use to draw themselves into prayer. “That was the first step in moving towards a meaningful, intentional path which integrated my desire to empower people to heal themselves with the artwork that flowed through me,” Jenifer says. Now as an ordained interfaith minister and a chaplain intern, Jenifer is bringing her art as an aid in healing to a wide variety of hospital patients through 3-D prayer angels and pop-up prayer cards. She recently launched a website http://www.altarnativearts.com where she offers The AltarNative Comfort Angel, “a small paper angel that has been extremely well received by patients and family alike, in the hospital, Jenifer says. “The comfort and joy these whimsical creations promote is priceless. Sheldon’s current project is “Cambodian Resiliency,” his first exhibit for ArtReach Gallery at First Congregational United Church of Christ in Portland, Oregon, a church that has been showing art since 1875. On a trip to Cambodia Sheldon saw images by Vann Nath, an artist who portrayed his experience of prison suffering and murders that led to the Killing Fields in Phnom Penh under the Pol Pot regime. So taken was he with this artist that he bought a folio of his paintings with the idea of curating an exhibit in Portland. The project grew to include photos by Vann Nath’s son, Vann Channarong, reflecting modern day Cambodia; Sandra Banister’s images of Angkor Wat; Anders Jirás’ photos of students learning ancient Cambodian dance; films, as well as educational activities and intercultural conversation, all of which will be blessed by the monks from Watt Dhammarangsi, the Portland Cambodian Buddhist temple. The exhibit will be held during February and March of 2017. Sheldon credits his experiences at CHI , in the Interfaith Spiritual Direction program and the Interfaith Studies program, for opening up his curiosity and capacity to reach out to other cultures and traditions. He sees art exhibits as a way to initiate genuine dialogue and interaction between cultures and traditions within the local community. His hope is that this exhibit will expand people’s understanding of the history that the entire Cambodian people carry, the grief and the trauma, but also the joy and rich culture as seen in the images of Angkor Wat and children learning their traditional dances. Sheldon’s own joy and excitement at the path this project has taken is apparent when speaking to him. He is already visioning his next project of Curating Art as Community Spiritual Formation by examining the rich Calligraphic tradition of the Muslim community. Addressing the spiritual needs of the sick and dying and their loved ones can be an incredibly rich and rewarding experience. Over half of The Chaplaincy Institute alumni work or volunteer in a hospital or hospice setting, applying the interfaith spiritual care and application principles they have learned through our programs. Our Interfaith Studies Certificate Course prepares individuals to serve the spiritual needs of our religiously and culturally diverse world in whatever capacities they are called, including hospital or hospice chaplaincy. Many of our faculty members are professional chaplains working in these settings. Depending on your academic and professional goals, Interfaith Studies students are required to complete 100-200 hours of supervised practicum in an area of interest that relates to their desired focus of ministry or spiritual care, and often students choose to do their practicum in a hospital or hospice environment. For many, this is the deciding factor in undertaking the journey to becoming a hospital or hospice chaplain. Becoming a hospital chaplain involves a different set of certification criteria than becoming a hospice chaplain. Chaplaincy in a hospital generally requires a graduate degree, CPE (Clinical Pastoral Education), and board certification as a professional chaplain. The Interfaith Studies Certificate Course can be part of the process to become a hospital chaplain, and a student’s practicum can be completed in a setting that meets CPE criteria. Currently, becoming a hospice chaplain does not require certification. In many hospice settings the individuals fulfilling the chaplaincy role are called spiritual counselors. These can be paid positions and involve many of the same responsibilities undertaken by a chaplain in an institutional setting. The interfaith focus of those who participate in The Chaplaincy Institute programs make them ideal candidates for spiritual service in a hospice setting where patients and their families embrace a wide range of spiritual and religious paths and practices, or none at all. Serving the spiritual needs of individuals in the correctional system is a good fit for those interested in the interfaith spiritual care for individuals and within institutions or systems. Prison ministry puts you in a setting where many religions and spiritual paths may be followed, including none at all. To become an effective prison minister, you need to be willing to work and empathize with inmates, families and staff, embracing any number of belief systems, including agnosticism and atheism. I heard my calling to prison chaplaincy while sitting in meditation at Open Mind Zen in Melbourne, Florida. Our teacher, Sensei Al Rapaport, had earlier announced that a group of inmates on the other side of the state needed a volunteer to sit with them. I dismissed his invitation, in that I was too new to Zen. But, as I sat in meditation a voice in my head kept saying: “Who do you think that was for? Do I need to send you an engraved invitation?” Within a few weeks, I was cleared by the Florida Department of Corrections and presented myself at Lake Correctional Institution in Clermont. That was in 2010 and I have never looked back. I now sit with Buddhists, serve as a day chaplain and also as clergy with Kairos Prison Ministries at the Christian prison retreats that are held over several long weekends during the year. I believe that Jesus calls us to be in communion with the outcasts of society – and few are more outcast than inmates. They are shamed and judged and scapegoated. And some are outcasts within this society of outcasts. And yes, some of them have done some pretty horrible things. But what they have done is not who they are. Prison chaplaincy is not for everyone. It is a gritty ministry in the midst of suffering. The environment is defined by noise, concrete, iron bars and razor wire. Communication with an inmate in a cell can be difficult and strained. But the rewards can be enormous. For me, the rewards of prison chaplaincy have been what the inmates have done for me: opening my heart, teaching me about forgiveness, and helping me to reclaim disowned parts of myself. I have always been attracted to the idea of working within a prison. However I put the idea aside decades ago when I began working within a few monasteries in India and Nepal. I figured that the monastery life was where this interest found its manifestation-and I was ok with that, as it is all good work. Fast forward to the last year of my M. Div. studies at Starr King School for the Ministry. I needed to find one more class on Fridays and ended up in Father George William’s rigorous Prison Ministry Class. I immediately realized that the spiritual passion I felt working within the Tibetan Buddhist monasteries was the same passion I experienced working within the monastery of San Quentin State Prison! Beginning with attending a large weekly group at San Quentin focused on Restorative Justice, my traction there deepened. Because of the restrictions on ministry volunteers at San Quentin (and most prisons for that matter) my work is done within group settings. Usually prisons employ just a few paid chaplains, so to keep things clear, I identify myself as a “ministry intern” rather than a “chaplain intern.” San Quentin is a unique prison because of all the incredible “rehab” programs offered to the inmates, all which focus on developing insight and understanding, spiritual transformation, forgiveness, emotional literacy etc. For the past year and a half I have been doing in-depth work with dozens of men through a variety of such groups as mindfulness meditation, emotional literacy, veteran support groups, restorative justice groups, violence prevention… As an ordained interfaith minister and chaplain this is such a perfect fit. I have also started a monthly Interfaith Devotional Music night, and have also been involved with a Taoist Group, helped start a Siddha Yoga group, taught on Death and Dying from an Interfaith Perspective, sat with the Buddhists-and there is so much more! Working within the incarcerated population is a special calling. I honestly feel that I would not be as effective in this calling without a deep commitment to my spiritual practice. As a student of Tibetan Buddhism for 40 years, with a background in Interfaith studies, I can witness and embrace the hard facts and many faces of suffering I encounter in this work without getting bogged down in the stories. This frees me up to shine some light on the often hidden sparks of grace inherent in these lives of hard luck and challenging realities of incarceration. I feel blessed to have so many opportunities open up for me to walk with Spirit or the Divine in all names and forms to men of all callings and backgrounds. Witnessing the birth of the joys and the pains of the transformation of the soul among such ripe and ready beings is one of the biggest gifts of my life, and is truly a sign of the reality of Bodhicitta at work! I am ever grateful for CHI and Father Williams for providing me a launching pad to be able to do this good work. I have taken on a new lifetime vow to help change the minds and hearts of the “free people” on the “outside” so that they will honor and receive these transformed global citizens back in the fold of a growing, tolerant, productive society. May it be so! Serving the spiritual needs of young people can be done in a number of ways and through a variety of channels. If you are interested in developing your potential for interfaith spiritual leadership and creative service to the young people in your community as a youth minister, The Chaplaincy Institute can help you explore ways to do this. Youth ministries that are not affiliated with religious institutions are usually connected to organizations or establishments within a community such as a school, homeless shelter or social services program. Those interested in youth ministry may also want to connect with the Interfaith Youth Core, a non-profit organization that works with over 200 college campuses to promote interfaith cooperation. For an example of this form of community ministry, see Rev. Rebecca Senoglu’s story below. Another form of community ministry is to provide spiritual support for a community of people on an ongoing basis. This form of community ministry centers around creating and sustaining a “congregation”. Many people have a rich spiritual life yet struggle to find spiritual community in which they can worship, pray, and be nourished. They feel uncomfortable with the traditional churches and worship centers that are already in the community. Such a yearning cuts across all socio-economic levels. Those who do not find a place in typical centers of worship may be homeless or have a very low income. Others may live more comfortably and have more education but traditional religion does not meet their spiritual longings. What is needed is a place where all worship traditions are honored, where everyone is included in the process of growing spiritually and acting socially. The core value of such a place would be agape love (unconditional love) as experienced through a deep connection with God that overflows into social action expressed as nonviolent engagement. For an example of this type of community ministry, see Rev. Felicia Parazaider’s story below. Of course, these two forms of community ministry are not mutually exclusive. Those focusing on forming a community will also provide spiritual care to those who don’t become part of the community. Those providing spiritual care to a wide rage of individuals and families will often care for them over a long period of time and see them participate in ongoing groups and classes. These two examples, however, provide different emphases in how community ministry can be practiced with vitality and creativity. Rev. Senoglu has also completed a certificate program in Children’s Spirituality at First Steps in Colorado Springs, Colorado. 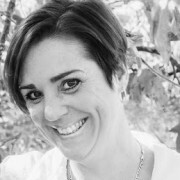 Rebecca works as the Cancer Support Program Coordinator at Enloe Cancer Center in Chico, California, where in addition to traditional support groups she has developed award-winning healing art projects like the Enloe Cranes Project and Banners of Hope. She did an extended unit of CPE at UC Davis Medical Center and has served as a volunteer chaplain at Enloe Hospice. For seven years she was Treasurer of the Chico Area Interfaith Council. She performs meaningful memorials and weddings for those who do not have a pastor, and she is employed by Chico funeral homes as an officiant. If you would like to learn more about Rev. Senoglu’s work as a community minister, please visit her website: AllKindsOfBlessings.com. Serving the spiritual needs of people with terminal diagnoses or those who care for them, is a good fit for people interested in providing interfaith spiritual care in a hospice or family/home settings. In Hospice Ministry the minister or chaplain meets people who practice a variety of religious or spiritual paths, sometimes within the same family. The Hospice Minister must be open to any spiritual beliefs while comforting the patient and helping their families to grieve the diagnosis and other losses that come with illness. In this process the minister opens them to the grace, self worth, and connectedness that can lead to hope. I heard my call to Hospice Ministry with growing volume during an 18-month period during which three people in my extended family died. Before that time, I was exposed to the eastern teachings about death through yoga, meditation, and Buddhism. I found myself more open to “practicing” with death to live a deeper life. My wife’s beloved uncle died unexpectedly at the age of 52 just as he was hoping to renew his marriage vows with his wife. The nurses and doctors were there and, the chaplain was called. I was impressed by how profound these moments were, how utterly real and authentic. Afterward, the chaplain told me that he was impressed with how I handled myself in comforting others and that I had a gift for this work. A year and a half later, months after my wife’s grandfather passed away, my own father died. He was in his mid-80’s and had several significant health issues that were impeding his quality of life. We went to visit him at the time that my father decided to stop kidney dialysis and go onto hospice. He lived less than a week longer, but the change in his mood, the many moments of seeing him smiling and laughing, the tear-laden conversations we were able to have, showed the value of the hospice program. With the strong intention to work with the dying and their families, I started my CHI studies five months later. I created a practicum experience at a local hospice, where I worked in the office, visited patients, and co-led an outreach program to dozens of local faith communities to discuss methods for engaging their congregations on the issues of death and dying. Four months before my Ordination, the Spiritual Counselor at the hospice who was my mentor announced she was leaving, and she asked me to apply for her position. After one round of interviews I was hired, and started two months before my Ordination! I can truly say that the divine laid out a path and ushered me down it with focus and speed. I am extremely grateful for the CHI program, which prepared me so well for Hospice Ministry. I am constantly challenged to forget myself and open to the person in front of me, to be a safe container for their pain and anguish, and a conduit for divine light, hope, and love to come through. I give thanks for surrendering to the will of the one Guide, who through this process has put me exactly where I am supposed to be, to help myself by helping others. 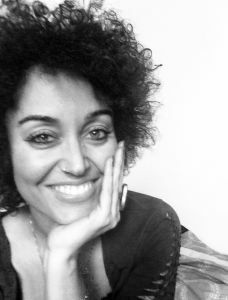 As a licensed clinical social worker, she has increasingly seen her focus become one of social justice and of healing racial tensions that have resulted from 500 years of injustice and oppression that is the history and heritage of the USA. Like many prophets, April received a calling that she responded to in the time honored response – What? Me? In her case, it was “You’ve got to be kidding.” In spite of her incredulity, she recognized that she knew who or what was speaking to her. Her theme for the year of her calling was “order my steps” and she knew she had to pay attention. Interfaith, the honoring of all traditions, all ways of approaching the holy, was her deep soul’s calling and that led her to Chi and her ordination. One of the gifts that arose from her time in Chi was the development of a forgiveness workshop, that focuses on healing the wounds of racial injustice and inequality. The workshop’s inception was in seeking a vision that would be spirit directed with a group of friends. The workshop “Practicing Forgiveness, an experiential workshop for discovering peace of mind”, arose from that visioning exercise and April continues to present the workshop now with her co-facilitator Rev. 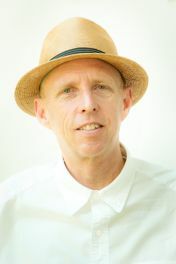 Allen Mosely to bring about healing and the possibility of a healthy race consciousness. One that would open people to speak truth to one another and acknowledge the reality that people of colour, LGBTQ communities, Latinos and others face in America today. The power of this workshop is in addressing in a healing way the serious and longstanding inequities that formed the culture of the country. Rev. 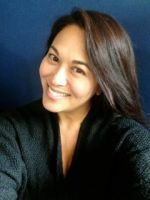 April is also working on creating wellness workshops and her website: www.peaceandwellnessproject.com reflects both her heart for healing and her prophetic voice. Chaplains, it turns out, are often asked to find words for the unsavory parts of a story and here’s the deal: RIGHT NOW, on planet Earth – our one home – it is ONE species, one tiny genus in the mammal family ( the humans! ) whose current behaviors and choices, whose systems and policies are creating system-wide suicide. Therefore the, “Eco.” in Eco-Chaplain is less and less about the Ecology of our planet, and evermore urgently about the Ecology of ourselves and the inter-dependent relationships with our fellow species. This is HARD work; it requires steady, sustained spiritual practice and here’s the REALLY important part: it’s only going to work if we all share the story. In my work as an Eco-chaplain, I’ve discovered and begun to share a three-fold practice I believe to be helpful as we endeavor to truly listen for Earth’s guidance and to meet the increasing challenges we face. I share these practices as lavishly as I’m able in my writing and speaking engagements, of course, and perhaps more importantly in the steady flow of ordinary moments I am gifted with every single day. The practices involve love, intimacy and vulnerability. The practices depend upon patience, honesty, and courage. Remember, that bit about chaplains speaking to the unsavory ? Our growth economy model is broken. The pop-story suggests the ONLY alternative will mean living a life of scarcity and lack. 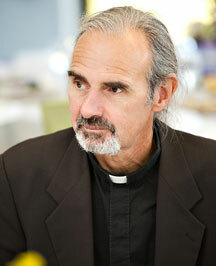 So where, O Eco-Chaplain, is the hope and healing? Our new story is rooted in Regenerative Humility. With care and practice, with support from our communities, we can source from a place that’s creative…and even regenerative! I call it God. Regenerative Humility keeps me curious, and forces intimacy; it frees me to move and act without the guarantee of success. My friends, we are human mammals who create. Our life depends on it. WHAT we create is part of the story we’re reconstructing. Reinventing our economy and other systems will take coaches, visionaries, career counselors, bereavement specialists, and lots and lots of chaplains!!! There are LOTS of us, and the Divine is ready for each one of our co-creative acts to set the story back on course. Meet the Rev. Lauren Van Ham, M. A.
Lauren was born and raised beneath the big sky of the Midwest. She was in the first cohort of CHI ordinands in 1999 and completed the Interfaith Spiritual Direction Certificate Course in 2006. 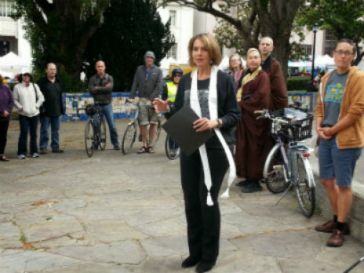 Following her ordination, Lauren served as a staff chaplain at St. Mary’s Medical Center in San Francisco, where she specialized in adolescent psychiatry, palliative care and bereavement support, and began the Environmental Action Team, incorporating more sustainable practices for patients, families and medical staff. Between 2004-2006, Lauren served as Executive Director for Green Sangha, a nonprofit organization practicing spiritually-engaged environmental activism. It was during these years that Lauren discerned a refining Call in her life: to live, work and move more overtly from the place where spirituality and ecology co-exist. In 2007, with necessary naiveté and determination, Lauren left healthcare chaplaincy to enter corporate America, and to work at Saatchi & Saatchi S, a sustainability consultancy in San Francisco. She was a member of the founding team that designed and facilitated hundreds of day-long sustainability workshops for people employed by a range of Fortune 1000 clients. 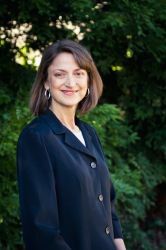 As a Director of Consulting Services, Lauren readily acknowledged her role as minister while she combined her passion and skills to custom-design curriculum and facilitate trainings to increase awareness, encourage behavior change and build new bridges between the inner/outer ecology of individuals and organizations, one person at a time. 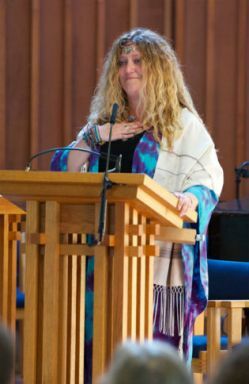 Integrating her professional work with her commitment to interfaith spirituality and eco-justice, Lauren sought endorsement from The Chaplaincy Institute to claim a new ministry. 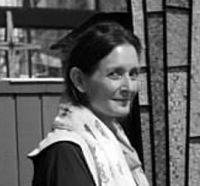 In June, 2007, she renewed her ordination vows and professed herself an Eco-Chaplain. In the Spring of 2014, Lauren bicycled 485 miles across the state of Nebraska to increase Climate Change awareness and to protest the Keystone XL pipeline, slated to run directly through the land of her childhood. She is featured in Renewal, an award-winning documentary, celebrating the efforts of religious environmental activists in seven groups from diverse faith traditions across America. Lauren chairs Fair Trade Berkeley, a group whose dedication in 2011 helped make Berkeley, CA, the 19th Fair Trade Town in the U.S. 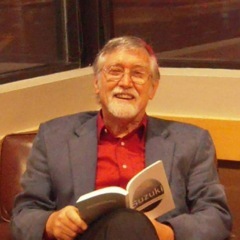 In early 2015, her essay, “Way of the Eco-Chaplain” was included in University of Waterloo, professor emeritus, M. Darrol Bryant’s, Ways of the Spirit: Voices of Women, a compilation of interfaith essays. 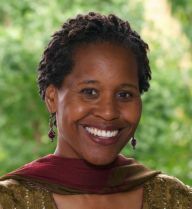 Lauren holds degrees and certificates from Carnegie Mellon University, Naropa University, and The Chaplaincy Institute (CHI ). As attendance at traditional religions services continues to decline, families look for authentic ways in which to connect on a spiritual level that may or may not include affiliation with a religions institution. Parents seek authentic, life-giving ways to nurture their children’s spirituality, but without skilled guidance, this can be elusive. Interfaith ministers are uniquely positioned to serve “spiritual but not religious” parents as they seek to raise their children in a rich spiritual environment outside of typical religious structures. Interfaith ministers also help families with more than one religious tradition learn how to respect and celebrate the diversity of faith rather than find it a barrier to deeper intimacy. For “spiritual but not religious” and multi-faith families, interfaith ministers perform a variety of spiritual services, including weddings, memorials, rituals to mark rites of passage, and workshops/classes/books for parents and children that support the ongoing development of family members of all ages. I am an ordained interfaith minister, author, officiant and public speaker. As natural as all of this feels in the present, I’ve been officially engaged in this work for only a few years. My role as wife to my husband and soul-mate and mother to our four children has been ongoing for decades. My family is the most important and wonderful blessing in my life. The love I feel for my family motivates me to deepen on a daily basis my relationship to the Divine. Reading picture books with my children was a favorite activity and led to my writing stories which all include spiritual qualities I’ve experienced in my home and family. It’s one thing to write stories but another to publish, and I’m not sure this would have happened without the encouragement of my Dean of Interfaith Studies at CHI . After reading an early draft of my children’s picture book Aya, she said, “This is a story that needs to be published and read by a lot of people.” Fast forward a few years, now a published author and public speaker, my author talks naturally include a discussion of prayer and interfaith spirituality. Several years before entering CHI as a seminary student, I was surprised when asked by two separate acquaintances to “officiate” on two different occasions. I researched what it means to be an officiant, and this led to my first awareness of “interfaith” and the possibility of entering a seminary as a student of interfaith. CHI offers the only nearby seminary where all faiths are brought into focus from a truly level playing field. Through my studies while at CHI and an ever deepening interfaith daily prayer practice since CHI , I have honed my ability to respond when asked to officiate and offer spiritual counsel. Whether I am writing, speaking to parents and children, or asked to step in as a minister or officiant, I understand my role is merely as a conduit for the Divine, and I am humbled by any opportunity to offer anything truly helpful in service to the Divine. Felicia is a minister, a visionary, working in a new paradigm, within an old-fashioned “revival meeting” approach, providing spiritual renewal outreach to the broader community while based in a rooted local ministry. Her ministry “Revolution of Love” arises from her desire to call people home, to their truth, to a place of love and expansiveness. The use of the world “revolution” stands for both the deep inner work required for “Agape” love to be truly embodied, as well as creating a movement of radical love. In 2002, after meeting a homeless man, who shared his story of addiction and brokenness with Felicia in an unexpected late night encounter, Felicia found her calling when she told the man “don’t give up, there’s always hope”. The “Revolution of Love” has grown to become a ministry of spiritual renewal and outreach, welcoming everyone, and offering a message of hope. This ministry of word and music invites people to become authentic, to recognize and honor their own worth, and then move out to minister to a hurting world.